A Macclesfield-based Growth Marketing Agency has reached a milestone in their annual fundraising efforts. Staff from ClientsFirst have raised more than £7,000 against an annual £5,000 fundraising target for The British Heart Foundation. 15 members of staff recently split into two teams, with some heading to Lancaster to complete a skydive from 15,000 feet whilst the rest laced up their boots to conquer the Lake District 8 Peaks Challenge. 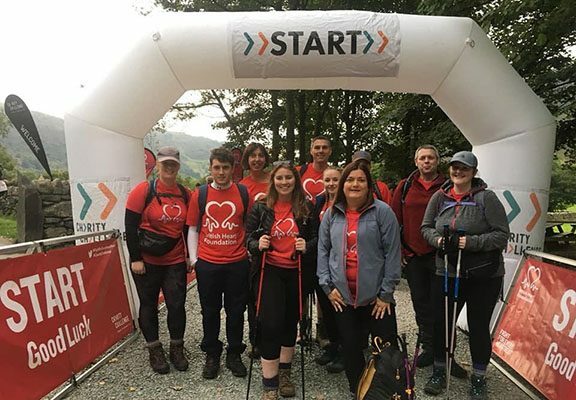 The British Heart Foundation was selected as the firm’s Charity of the Year in January as it’s a charity close to the hearts of Directors Jon Pittham and Gemma Hayes, whose mum died prematurely from heart disease whilst training for a cycle trek in Vietnam. The team hope to break the £8,000 fundraising mark by the end of the year.